CISAC, the international confederation of authors’ societies, this week released a study conducted by University of Texas economist Stan Liebowitz on the impact of the safe harbor provisions in the Digital Millennial Copyright Act and their counterparts in the European Union’s E-Commerce Directive on music rights holders. Although Liebowitz gives it a scholarly gloss, much of his analysis will be familiar to anyone who has followed the debate over the so-called value gap, between what music rights owners earn from their music appearing on YouTube and other user-upload platforms, and what they earn from fully licensed platforms like Spotify and Apple Music: YouTube is given unfair negotiating leverage over rights holders because the protection from liability offered to service providers by the safe harbors mean it is effectively impossible for rights owners to withhold their content from the platform if they don’t like the terms, resulting in below market rates. But Liebowitz ups the ante by emphasizing two dynamics not often highlighted by other analysts that he claims exacerbate the problem. 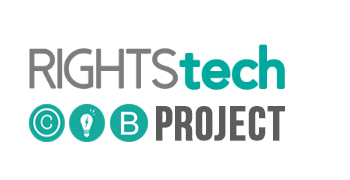 The first point — of particular note to RightsTech readers — is Liebowitz’s contention that YouTube could be making its much-touted Content ID system for identifying unlicensed copyrighted works on the platform less effective than it could be because a more effective filter would undermine its leverage with rights owners. If Google wants to claim to be going above and beyond the requirements of the DMCA, it is merely necessary for it to provide a Content ID system that works moderately well, since any such system is voluntary. 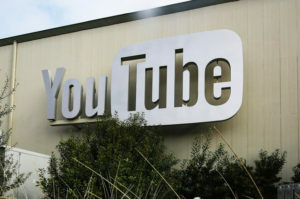 In fact, it would be surprising if Content ID worked as well as Google could make it, since such a Content ID system would weaken YouTube’s bargaining position with the copyright holders with whom it does business. If Content ID worked as Google suggests, meaning almost perfectly, copyright owners who thought they were being underpaid by YouTube would remove their material from YouTube since YouTube’s users would no longer have access to those copyrighted works, as Google claims in the above quote. As we shall soon see, however, the current Content ID system is insufficiently accurate to remove YouTube’s superior bargaining position, which is why YouTube is fighting to keep the safe harbor which it would not need with a more accurate Content ID system. That comes pretty close to accusing YouTube of bad faith in designing Content ID (without citing any actual evidence of it apart from YouTube’s alleged incentive) — a potentially explosive charge if it were taken up by others as part of the broader value-grab argument. Liebowtiz’s second (and less tendentious) contribution to the debate is his claim that YouTube’s below-market rates are actually a drag on all market rates, further undercutting compensation to rights owners. Thus, there are additional sources of harm to copyright owners caused by the advantage that safe harbors provide to UUC sites, and these sources of harm are usually ignored in discussions of safe harbors. That’s an argument that could find favor with Spotify, Apple, and other fully licensed sites that have so far largely stayed out of the debate over the safe harbors.